Rest assured that Americans Choice HealthCare Services will have all of your needs properly assessed so that a proper care plan can be invented. 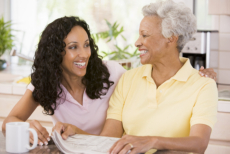 Trust our Home Health Aides for all your daily assistance needs. Contact us at 513-791-3810 for more information.